Home » Bollywood News » Tubelight 1st poster: Will you 'back' Salman Khan's 'back'? It's out! 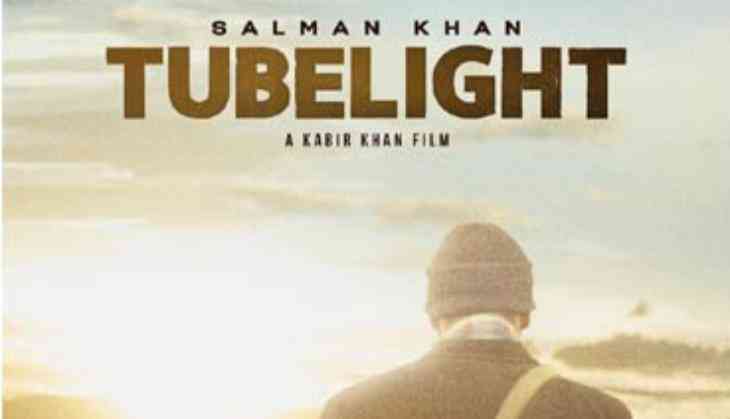 Giving little respite to scores of his fans, the Dabangg of Bollywood has finally released the first poster of his much-awaited flick 'Tubelight'. Salman took to Twitter to share the new look of the Kabir Khan-directorial and wrote alongside, 'Kya tumhe yakeen hai ? Agar tumhe yakeen hai then 'Back his Back''. Donning a brown coat and trousers with a cross-over bag, we can see the 51-year old's back facing the audience. The flick will have the ' Bajrangi Bhaijaan' actor-director duo returning with yet another exciting story. On a related note, the movie will also see Shah Rukh Khan in a cameo appearance and is slated for an Eid release, this year.